Our dogs are healthy and sound. Puppies are given the full set of shots and vet checked prior to leaving our home. We provide a full pedigree and genetic background of our dogs. We prefer families to come and meet the parents of the puppies, and visit the puppies as they grow up. Our puppies stay here until 10 weeks old at a minimum. It is very important for puppies to spend that time with their mother and father, and learn the complex social interactions of dogs. We intensely socialise our puppies as they grow up with people, children, other dogs, strange objects, noises, and any and everything they might encounter as they grow. The puppy's family must take over this social work and continue the process as intensely as the puppy grows to adulthood. Classes are highly recommended both as a bonding tool and a social event for both the puppy and the family! Our goal at Valley AHTs is to selectively breed toward producing a healthy, sound, structurally-correct puppy with exceptionally loving and loyal temperament, that we feel is above and beyond the American Hairless Terrier Standard. We take pride in our continued success of producing puppies for the show ring; as well as those shown to be versatile in obedience and agility trials, in the field, and, most importantly, as loving family companions.Just like you and your family are, each puppy is a unique individual too, with their own personality and characteristics. Please complete our questionnaire to help us start to get to know each other and learn about what you're looking for in your AHT puppy. This will help us place the right puppy in your home. Feel free to elaborate on your your family's interests, activities and tell us as much as you can about the puppy you hope to adopt. Looking forward to getting to know you! Just cut and paste this questionnaire into an email and send it to us at Valley AHTs. Relationships of everyone in the home (ie) parents, children etc. 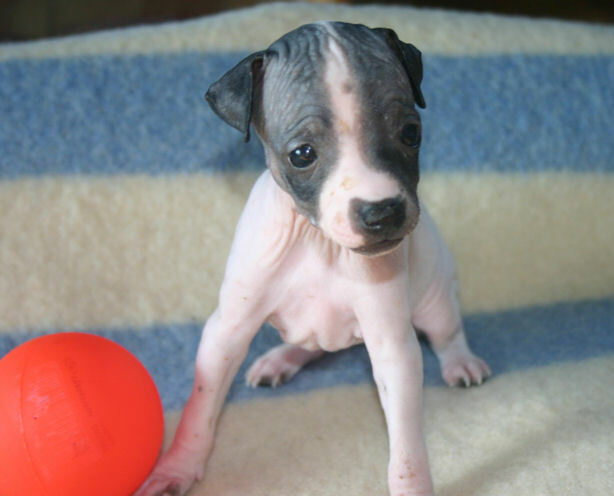 What is your reason for wanting an American Hairless Terrier? What size of AHT are you hoping for? If you have allergies, have you already allergy tested with AHTs? What would you do if you developed an allergy to your AHT, or if you had a mild reaction that did not go away over time? What would you feel would happen if you had a new baby, who was allergic to your AHT? Are you financially prepared to have a dog in your family? Who will be dog's primary caregiver? How much time per day will you be spending with the puppy? Will your dog have the run of the house, be in blocked off portions of the house, use a crate, be tied outside or live in the yard? Please be specific in your description. How do you plan to exercise your puppy/dog? How many or to what level? Do you plan to show or breed? If yes, please elaborate. What would your reasons be for breeding? Please provide name, full address and phone number of your most recent veterinarian. What types of activities do you (or members of your family) most enjoy? How will the puppy, and eventually the adult dog, be included in these activities? Please add any information about you or your family relative to your interest in adopting an American Hairless Terrier. Thank you for taking the time to fill out this questionnaire to help us in finding the right puppy for you. Please feel free to e-mail us if you wish more information or need questions answered. If you would like to come and visit us and our dogs we would be more that happy to set up an appointment for you.